In its formative and early stages, Capitol Hill Urban Cohousing in Seattle encounters both challenges and successes. 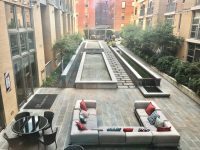 Urban cohousing offers a unique alternative that still allows access to the amenities, conveniences, and vibrancy of city life. 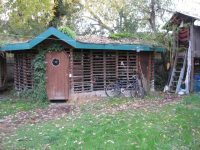 Columbia Ecovillage, Cully Grove Garden Community, Kailash Ecovillage, River Road Neighborhood, and elsewhere embody diverse, promising approaches to re-greening our lives. Urban development needs sufficient density to support functional public transit, bicycling, and walking—while also staying beautiful, fun, green, and rich with community. While it involves inevitable struggles, this replicable model both forms community and provides an ecological framework for living in the city. As Compersia and Point A aim to demonstrate, a city can be the perfect place to start an egalitarian, income-sharing community. Our Winter 2017 issue, Urban Communities, takes readers on a journey from the US East Coast through middle America to the West Coast, then to Canada and overseas. 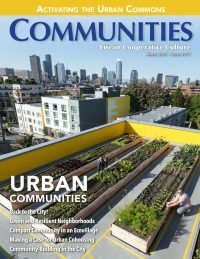 The communities featured span an equally broad range—from communes to cohousing, from outward-focused to more inward-focused, from retrofit to custom-built, from ecovillages, intentional neighborhood projects, and service-oriented groups to broader efforts to expand and strengthen the urban commons. 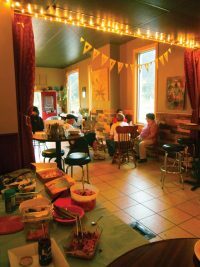 As our stories make clear, and despite popular preconceptions, in many ways no setting is better suited to intentional community than an urban one—and, even short of full intentional community, city-dwellers have many, ever-evolving options for creating more connection, mutual support, and sharing in their lives.